The annual data tables provide demographic data for each county in LLC's district. The data available in these tables include population, children in poverty, high school report cards, in district school enrollment by grade, demographics (i.e., gender, age, educational attainment, ethnicity, etc. ), and financial data (i.e., income, employment by industry, and unemployment). Provides a summary of the total district population by school district as well as number of children in poverty by school district. This also includes report cards for all in district high schools as well as the number of high school graduates by school and how many enroll at LLC. Provides a summary of enrollment of all public in district K-12 schools by grade. The Annual Enrollment Report summarizes LLC's enrollment over the three terms (fall, spring, and summer in that order) in the reported fiscal year. Section A highlights enrollment for regular students (exclude all DOC students but include dual credit students); Section B summarizes DOC student enrollment and Section C reports on the total student population. The report contains enrollment information by gender, student load, degree, residency, and race/ethnicity. It also presents data related to first time degree seeking students.For regular college students it provides enrollment by location in three ways: 1) enrollment by at least one course by locations; 2) enrollment by all courses by location; and 3) enrollment by the majority of courses by location. Below is the full annual enrollment report. Each year two fast facts will be produced to summarize the information in the full report. One fast fact will focus on college students only and the other will focus on DOC students only. This report presents demographic and economic information on the Lake Land College Region. The region is comprised of 31 public school districts that fall within Lake Land College's district. The Data Book is updated annually and is comprised of fourteen sections that highlight different areas of the college. These sections include everything from evoluation of the campus and district, district population, student enrollment and graduation data, financial information, and comparisons with other colleges. Each section is provided below under the reports. This report provides a summary of the CCSSE survey findings specific to LLC. It presents data related to the demographics of the student population as well as the results of the survey. The report is organzied by LLC's institutional Learning Goals. Beginning with the 2013 report, the report contains a section that provides the current findings as well as a section that shows the comparison of findings over time. Complete College America is a national effort to increase the number of Americans with college degrees or certificates and to decrease attainment gaps for underrepresented populations. All of the community colleges in Illinois are participating in this national reporting effort through ICCB. These fact sheets provide brief overviews of how LLC compares with its Illinois community college comparison group on the various reporting variables. These two fact sheets provide graphs that depict the credit hour completion for first time students for LLC compared to six other IL community colleges that have been identified as Lake Land comparison group by CCA and ICCB. Key findings are presented related to the comparisons. This fact sheet defines graduation rates and presents the rates in a graph for LLC and the IL community colleges in its defined comparison group. Graduation rates are presented for both 100%, 150%, and 200% time for degrees. Key findings are presented related to the comparisons. This fact sheet defines time to degree and presents the length of time in years it takes for students at the community colleges in Lake Lands comparison group to complete their degree or certificates. Key findings are presented related to the comparisons. This fact sheet defines remedial course completion and presents the percentage of first time students who complete their remedial math and English courses by cohort years. These data represent LLC students and the students in the comparison group for LLC. Key findings are presented related to the comparisons. This fact sheet defines remedial course enrollment and presents the percentage of first time students who enroll in remedial math and/or English courses for LLC students as well as the comparison colleges. Key findings are presented related to the comparisons. These fact sheets define retention and present the percentage of first time students who are retained over time (i.e., each consecutive term) for all colleges in the LLC comparison group. Key findings are presented related to the comparisons. This fact sheet defines transfer out and presents the percentage of first time degree seeking students transferring to a four year institution for LLC students as well as the comparison colleges. Key findings are presented related to the comparisons. These two fact sheets provide graphs that indicate the number of associate degrees and certificates awarded during a full academic year per 100 FTE students. This fact sheet provides a summary of the percent of students who complete a college level course after completing a remedial course in the same subject area. The course persistence report provides a summary of the number of courses offered as well as the number and percent of students receiving each grade, withdrawing, and dropping courses. This information is presented for each term in an academic year. The first table provides an overall summary of totals for each division. The following seven tables provide details related to each course offered by a specific division for each term in the academic year. The Why Drop reports provide summaries of reasons drop courses at four different points across the semester. These points include why students drop classes before the first day of class, between day one and day ten of classes, between day 11 and midterm, and between midterm and last day to drop. These reasons are summarized by semester and year. These annual reports provide summaries of how first time students assess into various remedial courses by fall cohorts between 2005 and 2009. These reports include summaries on the following topics: 1) how students assess into remedial courses; 2) how students follw the assessment recommendations; 3) success rates and retention; 4) grade distributions in remedial and first college courses; 5) assessment by degree type. In FY2013, the Developmental Education Task Force decided to produce an annual developmental education report. This report includes the data and summaries in the developmental education cohort as well as the information provided in the supplemental report from 2012. In addition, this report provides summaries of developmental education interventions that have been and will be tested at LLC along with evaluations of these efforts. This is a one page summary of key findings from the annual Developmental Education Report. Three environmental assessment reports are produced annually. The blue report focuses on regular college students only and provides a summary of the following information demographics, headcount by location, financial aid, transfer information, retention, graduation, and tuition and fees. The green report highlights similar information to the blue report but encompasses all LLC students which includes DOC. The orange report summarizes information related to DOC students only. This report focuses on regular college students only and excludes DOC students. A summary of student demographic information along with other pertinent data is provided. This report focuses on all college students including DOC. A summary of student demographic information along with other pertinent data is provided. This report focuses only on DOC students. A summary of student demographic information along with other pertinent data is provided. Each in district high school that participates in dual credit receives an individualized report along with the aggregate report that encompasses all dual credit students throughout the district. The report includes a summary of the most recent four years of data related to the number of students taking dual credits and the number of dual credit hours produced by each high school. This report also provides information related to the number of dual credit and non dual credit students who enroll at LLC, average GPA of students, number of graduates, and the number that transfer to a four year university. This report also summarizes the dual credit courses offered each semester as well as the number of students taking these courses. This report summarizes dual credit data for all high schools in LLC's district by academic year. For individual high school reports, please go to the S drive and access the following folder: S:Institutional ResearchAnnual ReportsDual Credit Reports. This report simply summarizes the number of students enrolled in each program at the end of each fall and spring semester. The programs are separated by division. The annual financial aid reports provide a summary of financial aid eligibility and applicants (student demographics by number enrolled and number applied for and received financial aid) as well as the variouse types of aid received along with the average amount received. This is a one page summary of key results related to financial aid. This report contains two sections. 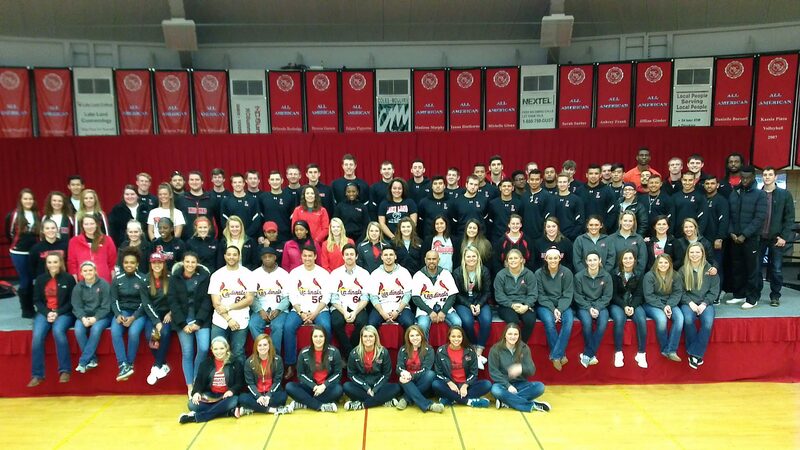 The first section consists of an overview of students who graduate from LLC each year. This annual overview includes student demographics, the number and types of degrees distributed, and the number of graduates by division/DOC facility and program. Both college and Department of Corrections (DOC) students are included in this section of the report. Data in this section of the report represent graduates from the past five fiscal years. Section two focuses on student cohorts. This section includes all first time degree seeking students who begin their academic career in the fall semester. These cohorts are followed for 6 years after beginning their academic career at Lake Land College and cohorts are added to the report as they reach a 2 year follow up point. This section of the report presents the number of students who receive degrees each year as well as the graduation rate for the cohort by degree. The graduation number and rates are provided by gender, race, age status, student load, athletic status, dual credit status, and disability status. Three variables have been added to the 2013 annual graduation report. These variables include veteran status, PELL grant eligibility status, and first generation students. The data for these three variables begins with the fall 2009 student cohorts because the intent to enroll form was modified around 2010 to include veteran and first generation demographic questions. This is a one page summary of Section I of the Annual Graduate Report. 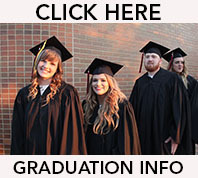 It provides a summary of graduation information for both college students and department of correction students. This is a one page summary of Section II of the Annual Graduate Report. It provides a summary of graduation information for first time degree seeking students beginning in summer/fall terms. Lake Land College has identified and closely monitors a specific set of key performance indicators (KPIs) related to the its three goals of 1) advancing student success, 2) fulfill evolving and emerging education and training needs, and 3) commit to quality, access, and affordability. In addition, the College has added two key focus areas which include creating the foundation for data analytics and Guided Pathways to Student Success. Results for the KPIs are presented in two formats. The first format offers a quick overview for all the KPIs by presenting results in a summary table for each goal with an indication of the time period for outcomes and baseline data. For example, some results are presented by fiscal year while others follow a fall cohort of students over time. The second format provides a more detailed examination of each KPI. This format summarizes the results graphically over time for each KPI and provides a definition, an explanation of results, the College’s goal for that metric, and the data source. Detailed information related to these KPIs can be found in the College’s strategic plan beginning on page nine. The link below will take you to the College’s most recent report which has the most updated information for the KPIs. Again, discussion for the KPIs begins on page 9 of the report. The National Student Clearinghouse is providing its participants in the enrollment and completion programs with a report based on institutional completion rates benchmarked with national published data. These data focus on six year completion rates for first time degree seeking students by fall cohorts (i.e., fall 2008, 2009, etc.). These data are presented by full and part time status, gender, and age at first entry. 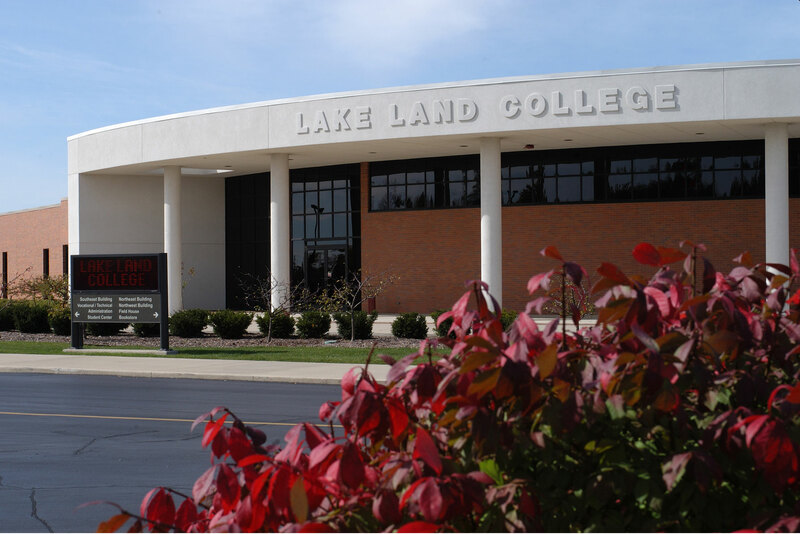 Lake Land College administers the Noel Levitz Student Satisfaction Inventory every few years to monitor student satisfaction in a variety of areas. This report provides a brief summary of the Noel Levitz results from the spring 2018 survey. This report provides a detailed look at each item on the Noel Levitz Student Satisfaction Inventory. It provides the order of importance, the Performance Gap score and if satisfaction was below, at, or above the national mean for each item. This report summarizes findings from a post graduate survey developed by LLC. Data is collected via survey monkey from students two or more years post graduation from LLC. The first survey administered in spring 2013 questioned students who graduated between 2005 and 2010. The retention reports provide demographic breakdowns for first time degree seekings students by fall cohort (e.g., first time degree seeking students in fall 2005). This report follows students over time to monitor their success (i.e., enrolled and/or gradusted) by semester. It includes summaries by demographics, degree type, and division. This report is a one page summary of the full retention report and provides highlights of the full report. 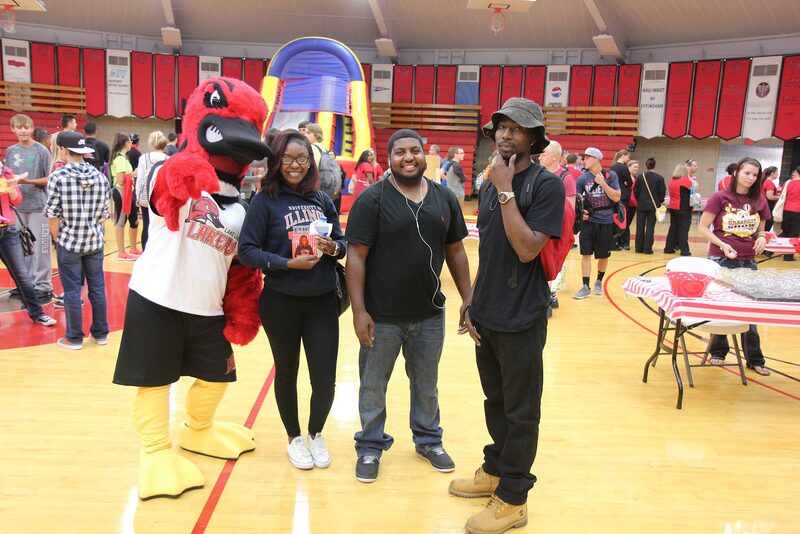 The Transfer Report is an annual report that provides a summary of students who transfer to 4 year universities in Illinois from Lake Land College. It provides a summary of the number of students at each university, their GPA, academic standing, and major. 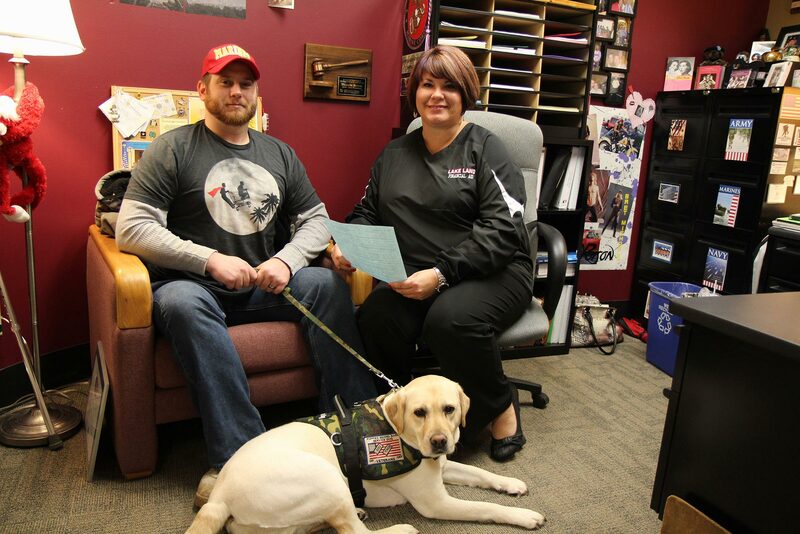 It also includes transfer behaviors of students attending Lake Land as their first college. This is a one page summary of the transfer report that presents some of the key findings. The following table provides a summary of fall to spring retention by program for the past five years. The Trend Analysis Report is an annual report that reviews five or more years of data for each topic covered. It shows trends in data for district demographics, enrollment, student demographics, and financial information including tuition, fees, and more. Term reports include the 10th day and end of term reports produced for each semester. Historical term reports can be found on the S drive in the Institutional ResearchTerm Reports folder. This report provides a snapshot of the college's opening enrollment for the term and includes the State Report required for submission to the ICCB. This report does NOT include enrollment in educational programs offered through the DOC. This report provides the number of students enrolled in programs annually as well as the number of graduates by programs annually. In some cases, the number of graduates is larger than the number of enrollees. One reason for this phenomena is that students can receive multiple degrees and/or certificates but can only have one degree listed as their major. This table EXCLUDES DOC students.